Can Sajan Prakash swim against the high tide at Rio? Home > Un-Finance > Can Sajan Prakash swim against the high tide at Rio? Some 8 summers ago two athletes just as talented as Vijender Singh and Sushil Kumar had their first taste of an Olympic pool at Beijing as raw teenagers. Virdhawal Khade and Sandeep Sejwal set the pool on fire at Beijing without winning medals and therefore were not spoken of in the same breadth as Vijender and Sushil. National records were broken by some distance and a new dawn had seemingly arrived in Indian swimming as 4 Indians qualified for the Olympics for the first time ever. Atleast if India’s top coach Nihar Ameen’s words were to be believed India had unearthed very strong medal prospects for the subsequent London Olympics. That phase from 2008-2010 which also overlapped with the Commonwealth youth games and offcourse the Delhi Commonwealth Games saw the maximum number of national records broken, not just by these two but others like Rehan Pooncha and the ageless Richa Mishra. Post CWG the support system seemed to have tapered off and so have the performances. Brief sparks were provided at the Guanghzou Asian Games bronze by Khade’s bronze and likewise by Sejwal’s bronze at the Glasgow Commonwealth Games. Whereas Sejwal continues to plough a lone burrow in breaststroke across 50/100/200 metres, Khade now shuttles between service and swimming..yet he manages to win whenever he participates at any national level event. To their credit both these swimmers maintained their standards upto London Olympics and achieved the B qualifying standards. Why A.P.Gagan was sent ahead of either of them is a million dollar question. This probably broke Khade’s resolve to focus solely on swimming and he decided to move on in life. All credit to the Swimming Federation of India for such inept handling of our best swimming talent ever. Over the last few years some fresh talents like Saurabh Sangvekar (across the longer freestyle distances) and Aaron Dsouza have been threatening to emerge without quite reaching the levels set by Khade and Sejwal. There is some potential seen in girls like Damini Gowda and Maana Patel, but their best is still some distance away. Despite such a bleak scenario there are as many as 5 Indian swimmers who have achieved the ‘B’ qualification mark for the Rio Olympics. The above qualifications are a testimony to the hard work put in by the swimmers and their coaches all on their own accord. The quest of A qualification standard led 4 of the above 5 to Hong Kong Open but it turned out to be too high a hurdle to high to cross. 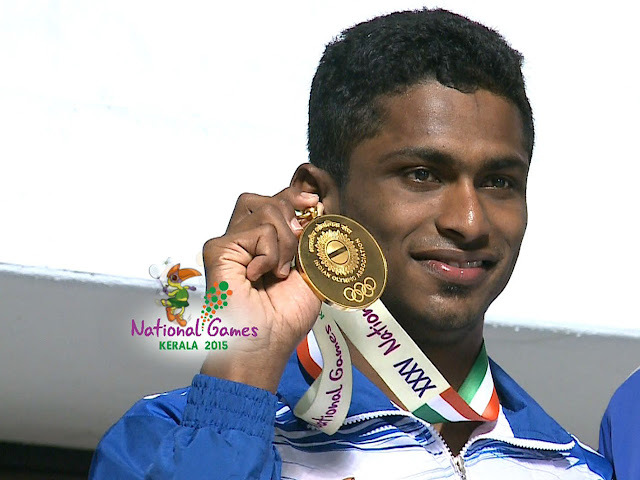 Finally it was the versatile Kerala swimmer Sajan Prakash who got the nod ahead of Sejwal inspite of fewer FINA points. A member of the Glasgow Commonwealth and Incheon Asian Games, Prakash came of age at the Indian National Games 2015 with 6 gold and 3 Silvers. Specialising in the shorter distances in both the free and fly much Sajan has gradually incorporated the longer 400/800 and 1500 free into his repertoire. Currently he holds national records in the 1500 free and the 200 fly. Last year FINA, recognized Prakash’s talent and offered him a full scholarship to train in Thailand for the World Championships. Over the last year Sajan has been regularly lowering his own national record in 1500 firstly at the nationals where he bought it down to 15:55 and then to 15:45 at the Kazan World Championships. He had expressed his desire to shave of another 30 odd seconds by RIO but he has only managed to maintain 15:45 in all the subsequent events. Sajan held the 400 free national record of 3:57 set last year at the Asian Age group championships up until the Hong Kong Open where Sangvekar dropped the record to 3:56:82. But it’s the 200 fly in which he has been provided an opportunity to represent India at RIO. Sajan was at his best in the Hong Kong Open, as he became the first Indian to go below 2 minutes that too twice. In the process he obiliterated Rehan Poncha’s 7 year old record of 2:00:70 by clocking 1:59:72 in the heats and then broke his own national record by clocking 1:59:27 in the finals. His finals timing is ranked 119th in the world in 2016. This is the closest an Indian swimmer has got to the top 100 since the relatively heady days of 2008-09 courtesy Sejwal and Khade. The 100 fly saw him hit a personal best of 54.70 secs still some distance behind Khade’s national record of 52.77 seconds. Sajan’s seems to be peaking nicely as RIO approaches but where does he stack up against the best in the world. There are 22 swimmers who have comfortably surpassed the A qualification standard of 1:56:97. This is the race where Micheal Phelps, Lazlo Czeh, Chad le Clos and a host of other quality swimmers ply their trade. Almost all the A qualifiers swim 1:55/56 and below on most occasions irrespective of what stage of their training cycle they are in. The odds will be stacked against this young Indian swimmer who would do well to imbibe the good training habits from the best in the business. Expecting a medal is out of bounds but a semi-final finish (which would mean further dropping of his own national recordby nearly 2 seconds ) would do wonders to his confidence and to a host of upcoming young Indian swimmers who are looking at Tokyo 2020 and beyond.